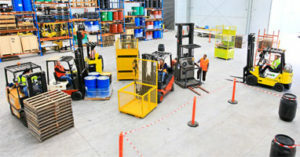 UK Industries Training is a UK Tool company which provides all manner of commercial and industrial training courses from our centre in Nottingham to all of the UK. If you work in the construction trade, hire industries or any sector where commercial driving or working at height is required, either from towers or mobile access platforms, then we have courses to keep you both safe and legal. Our courses are flexible in the numbers attending and can be either held at our Nottingham training centre or at the location of your choice, in the case of larger groups. View the website from the link above, or call now on 0115 880 0188 to book a course.